Described as an eatery “for people who love fresh, new high-end Latin cuisine and wines in a hip, relaxed atmosphere,” Frida Bistro is now open at 700 S. 545 West at the Rico building. In addition to meals at Frida Bistro, you can also purchase Rico products such as salsas, tamales, burritos, guacamole and more, fresh from the factory floor. Make no mistake about it: India Fusion restaurant in West Jordan (7726 Campus View Dr.) has a very appealing ambiance and terrific service. But, sometimes you just want to eat at home. India Fusion has the solution: curry delivery! 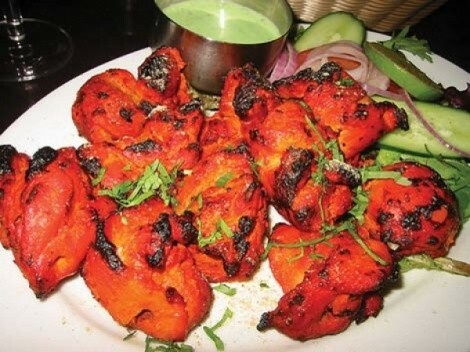 Now, India Fusion restaurant offers curries and everything else on its menu—from samosas and aloo papri chat to biryani, tandoori-grilled foods, vindaloo and even chicken fingers—for delivery within a five-mile radius of the restaurant. You can place orders by phone at 801-280-5459, or online at IndiaFusionRestaurant.com. In addition to being a grocery store and bakery, Arbat also specializes in wedding receptions, birthday parties, anniversaries and such, all with a Russian flare. The banquet and catering menu at Arbat features items such as hachapuri, pelmeni, sturgeon, red caviar, chicken in lavash, pirogki, cold-smoked herring, liver rolls and much, much more. At the Arbat grocery store, you can score hard-to-find deli items like smoked bologna—a favorite of X96 Radio From Hell’s Bill Allred, a regular (some would call him irregular) customer. Arbat also offers an all-youcan-eat buffet from 12-8 p.m., priced at $8.99 for adults, $4.50 for kids and $8.10 for seniors. Arbat is located at 373 E. 3300 South, 801-706-0555, online at ArbatLLC.com. Send Food Matters tips & information to tscheffler@cityweekly.net.